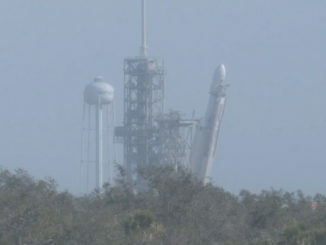 Since its arrival inside the trunk of SpaceX’s Dragon cargo capsule, the X-ray astronomy experiment has been transferred from the spacecraft’s unpressurized carrier to a platform on the space-facing side of the space station’s starboard truss backbone, powered up and checked to ensure it can point at stellar targets as the research outpost orbits around Earth. The Neutron Star Interior Composition Explorer, or NICER, is now going through alignment checks and test scans, allowing scientists to fine-tune the instrument. The calibrations should be complete next month, and NICER’s ground team has penciled in July 13 as the first day of the instrument’s 18-month science mission. 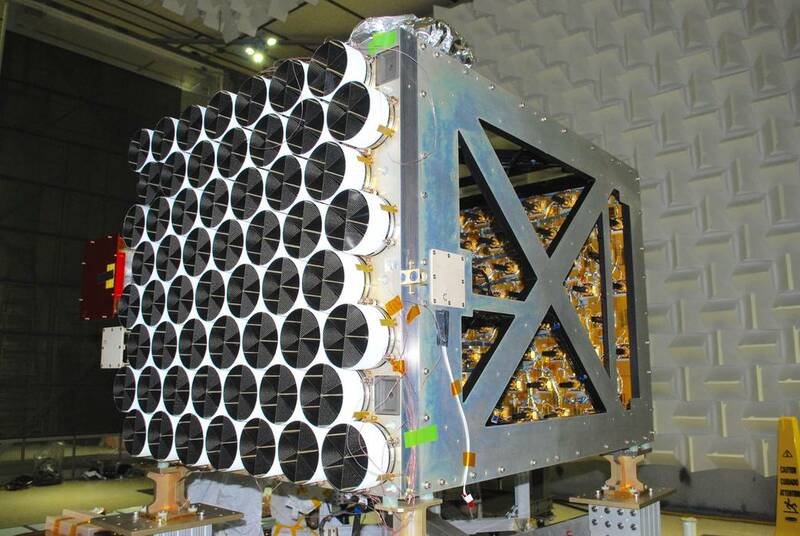 NICER’s developers at NASA’s Goddard Space Flight Center crammed 56 individual X-ray mirrors inside the instrument’s shell, with matching silicon detectors that will register individual photons of X-ray light, measuring their energies and times of arrival. NASA says NICER is the first mission dedicated to neutron star research. Astronomers discovered neutron stars in 1967, decades after scientists first predicted their existence. Neutron stars are left behind after lower-mass stars exploded in violent supernovas at the ends of their lives. The material from the star ends up crammed into an object the size of a city, and astronomers say one of the densest stable forms of matter in the universe resides in the deep interiors of neutron stars. Scientists compare the density of a neutron star to packing the mass Mount Everest into a sugar cube. One teaspoon of neutron star matter would weight a billion tons on Earth, according to NASA. NICER flew to the space station inside the rear trunk of a SpaceX Dragon supply ship, which launched June 3 from NASA’s Kennedy Space Center in Florida and berthed with the orbiting outpost June 5. 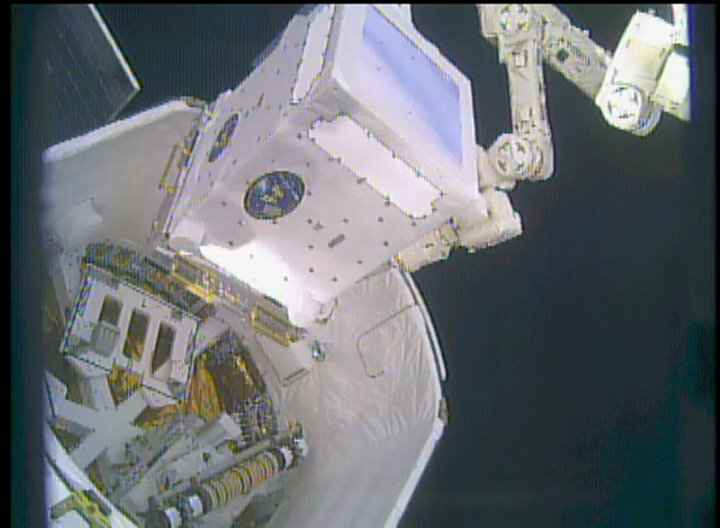 The station’s Canadian-built robotic arm extracted the NICER experiment from the Dragon spacecraft June 11, and the instrument rode to its mounting location on an external platform — EXPRESS Logistics Carrier-2 — on a mobile rail car down the station’s truss. Mission controllers in Houston commanded and monitored the multi-day transfer from the ground, with the help of the station’s two-armed Dextre robot. 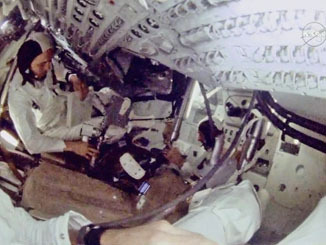 The space station’s robotic arm installed NICER on its mounting plate June 13, and controllers powered up the instrument’s electronics the next day, verifying all systems were OK. 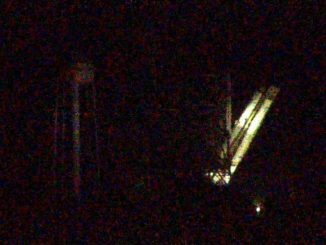 Range of motion tests were completed Friday after engineers needed extra time to release troublesome launch restraint bolts. NICER rode to the space station with two other experiments in Dragon’s trunk. One of the payloads, sponsored by the Air Force Research Laboratory, will test a new solar array design could be used on future commercial satellites, making the power generators 20 percent lighter and able to fit into a launch package four times smaller than conventional fold-out solar panels. A commercial Earth-imaging platform developed by Teledyne Brown was also stowed in Dragon’s trunk. The Multiple User System for Earth Sensing, or MUSES, can host high-definition and hyperspectral cameras for Earth-viewing. The MUSES payload was robotically moved to its new home on the space station before NICER, and the solar array testbed was unfurled for seven days of testing this week. The installation of NICER clears the way for nearly a month of calibrations before it can start regular science observations. The NICER science team wants to know the structure and composition of neutron stars, which are so extreme that normal atoms are pulverized, freeing subatomic particles like neutrons, protons and electrons. “As soon as you go below the surface of a neutron star, the pressures and densities rise extremely rapidly, and soon you’re in an environment that you can’t produce in any lab on Earth,” said Slavko Bogdanov, a research scientist at Columbia University who leads the NICER light curve modeling group. Unlike black holes, which develop from explosions of stars more than 20 times the mass of the sun, neutron stars can be directly observed. 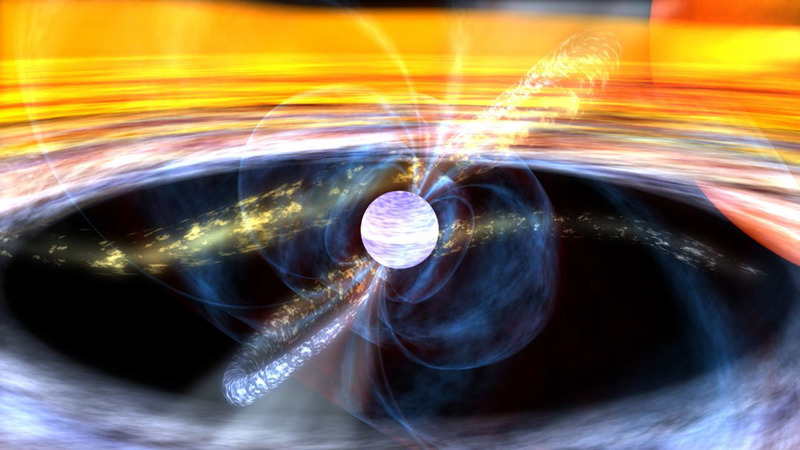 A partnership between NASA, the Massachusetts Institute of Technology and the Naval Research Laboratory, NICER should give scientists their first measurements of the size of a neutron star. “They emit light all across the spectrum, from radio waves to visible light up to X-rays and gamma rays, primarily in narrow beams from their magnetic poles,” Arzoumanian said. “Just like the Earth, the magnetic poles on a neutron star are not necessarily aligned with the spin of the star, so you can get narrow beams that sweep as the star spins, just like a lighthouse. “And if we happen to be in the path of the sweep we see a flash everytime one of these beams go by and the stars from a distance appear to be pulsing, so they’re called pulsars,” Arzoumanian said. Scientists will also demonstrate the potential of using the timing of pulses from neutron stars for deep space navigation. Atomic clocks are the basis of the Global Positioning System satellites, according to Gendreau. NASA calls the navigation demonstration the Station Explorer for X-ray Timing and Navigation Technology, or SEXTANT. Jason Mitchell, SEXTANT’s project manager at Goddard, said his team aims to use predictable pulsar signals to locate the space station with a precision of 6 miles, or 10 kilometers, without the aid of GPS satellites or on-board navigation solutions. “That’s a small step compared to GPS, but it’s a giant step for using only pulsar measurements, and that will help us get into deep space,” Mitchell said. “Our goal is to turn the G in GPS into galactic, and make it a Galactic Positioning System,” he said.